The first day of school can be a scary time for kids, especially Kindergarten kids who may have never entered a classroom before. As a teacher, you can make the transition to school a bit easier by providing your class with fun and memorable first day of school activities. 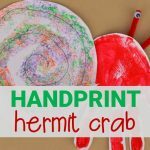 These adorable first day of school activities for Kindergarten (or any primary children) are sure to be a hit! 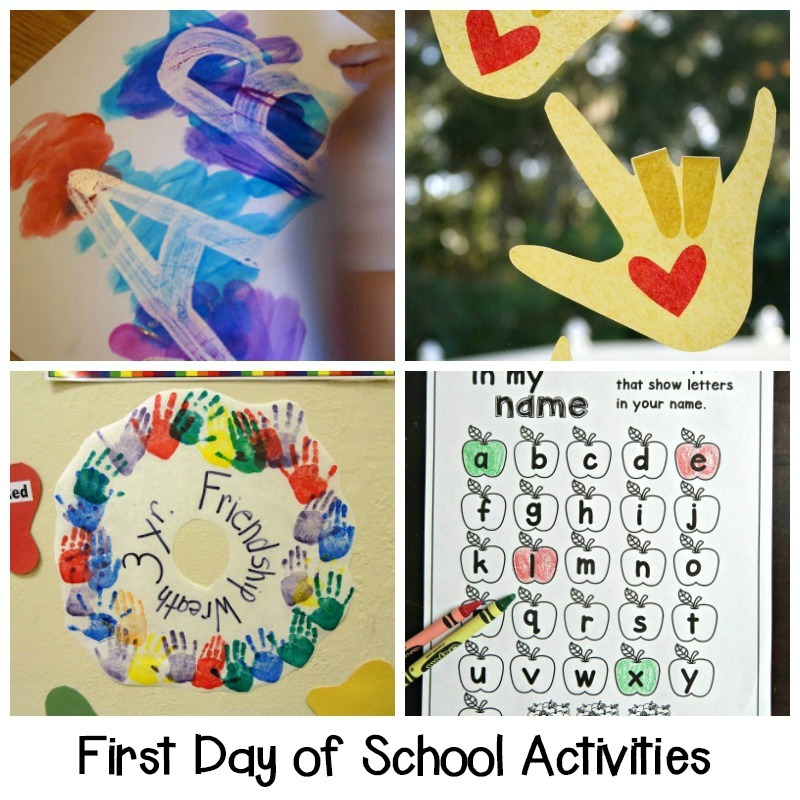 Some of the activities are designed to go along with books about the first day of school, including The Kissing Hand and First Day Jitters. 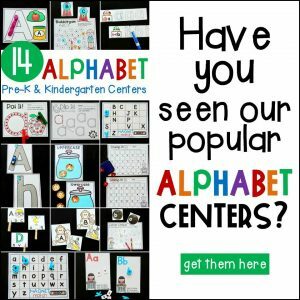 While some activities are independent, we know that Kindergarten kids are young and school is a whole new world – so of course you may need to support them a little (or a lot) in some of the activities depending on your class. But we have listed a variety of activities so that you can pick and choose a few. And of course these don’t have to just be for the first day – Back to School for me is more like a season and goes for quite awhile! So pick your favorites, and enjoy your first day of school! 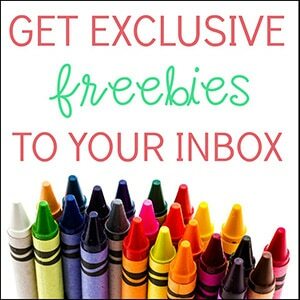 Use these back to school printables to work on coloring, letters, and more. Whip up a batch of jitter juice. Practice name recognition with name towers. Make a simple and fun paper plate apple craft. Have fun playing with this Back to School play dough kit! 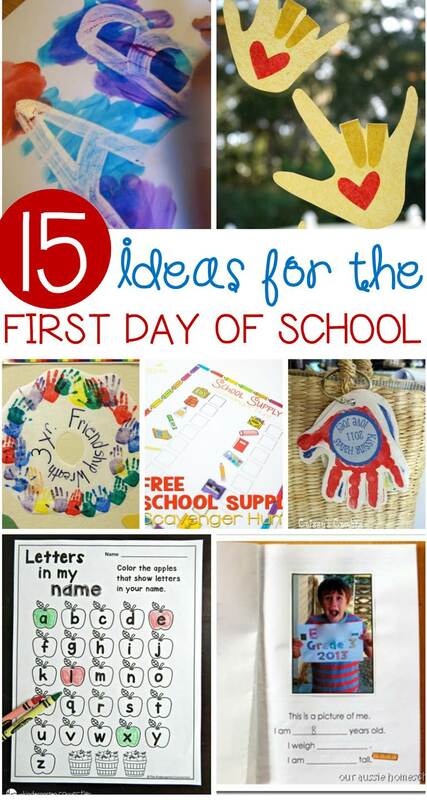 Looking for more back to school ideas? 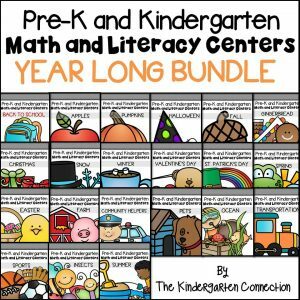 Back to school is a crazy busy season, so why not have all of your math and literacy centers planned and ready to go for you? 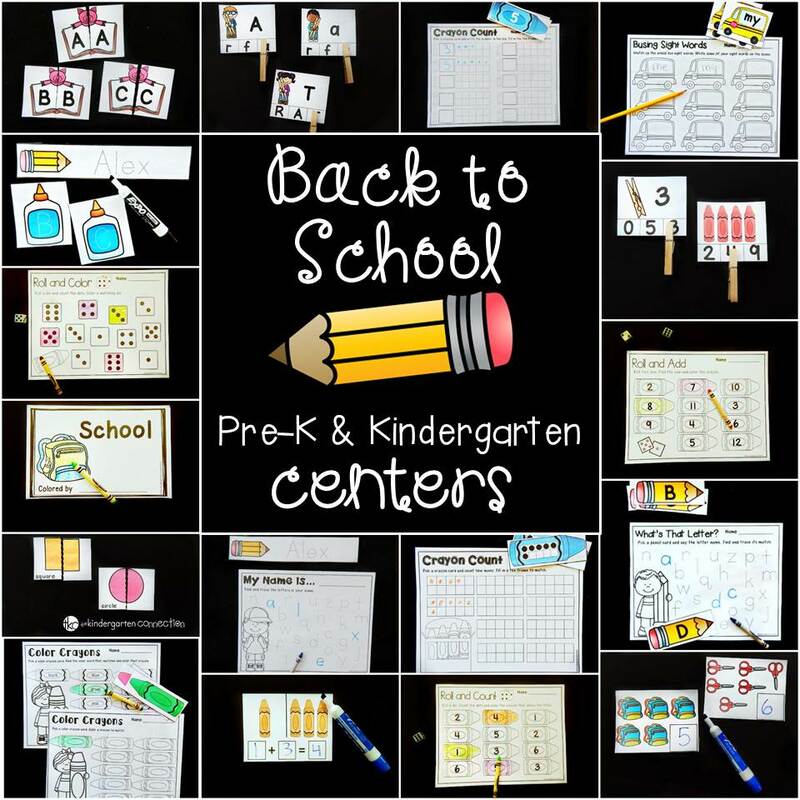 Hop over and grab our Back to School centers to make your fall that much easier. 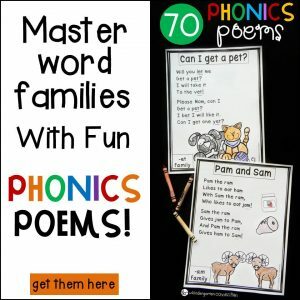 Your students will love them, and you will love how much they are learning!